Definition (SNOMEDCT_US) The rat specific species of Pneumocystis. Definition (SCTSPA) Especie de Pneumocystis específica de la rata. Definition (MSH) The prototype species of PNEUMOCYSTIS infecting the laboratory rat, Rattus norvegicus (RATS). It was formerly called Pneumocystis carinii f. sp. carinii. Other species of Pneumocystis can also infect rats. Definition (CSP) opportunistic pathogen which can cause a fatal pneumonitis in an immunocompromised host; occurs in 75% of AIDS patients. Definition (SNOMEDCT_US) The human specific species of Pneumocystis. Definition (SCTSPA) Especie de Pneumocystis específica del ser humano. Definition (MSH) A species of PNEUMOCYSTIS infecting humans and causing PNEUMOCYSTIS PNEUMONIA. It also occasionally causes extrapulmonary disease in immunocompromised patients. Its former name was Pneumocystis carinii f. sp. hominis. Pneumocystis jirovec is a tiny fungus that lives in the lungs of many people. Most people's immune systems keep the fungus under control. But if your immune system is weak, the fungus can make you very sick. The most common problem of infection is pneumocystis pneumonia (PCP). PCP once was the major cause of death for people with HIV/AIDS. But now, it is possible to prevent or treat most cases. The key to surviving PCP is early treatment. The first signs of PCP are difficulty breathing, fever and a dry cough. If you have these symptoms, see your doctor right away. Definition (MSH) Infections with species in the genus PNEUMOCYSTIS, a fungus causing interstitial plasma cell pneumonia (PNEUMONIA, PNEUMOCYSTIS) and other infections in humans and other MAMMALS. Immunocompromised patients, especially those with AIDS, are particularly susceptible to these infections. Extrapulmonary sites are rare but seen occasionally. Definition (NCI) Pneumonia resulting from infection with Pneumocystis carinii, frequently seen in the immunologically compromised, such as persons with AIDS, or steroid-treated individuals, the elderly, or premature or debilitated babies during their first three months. Patients may be only slightly febrile (or even afebrile), but are likely to be extremely weak, dyspneic, and cyanotic. This is a major cause of morbidity among patients with AIDS. 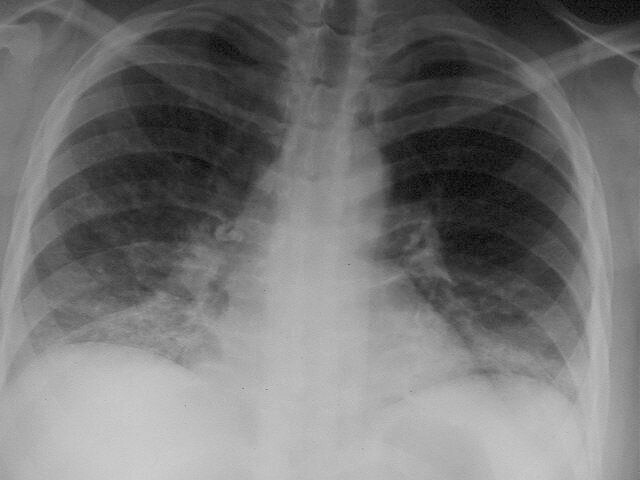 Definition (CSP) pulmonary disease in humans occurring in immunodeficient or malnourished patients or infants, characterized by dyspnea, tachypnea, and hypoxemia; Pneumocystis pneumonia is a frequent opportunistic infection in AIDS; also found in other mammals where it is caused by related species of Pneumocystis. 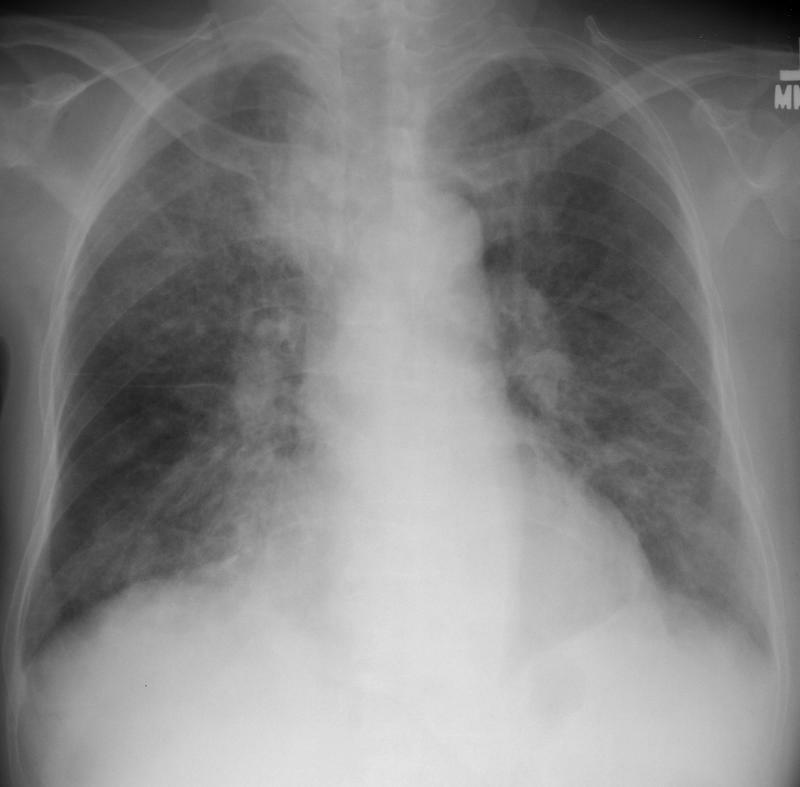 Definition (MSH) A pulmonary disease in humans occurring in immunodeficient or malnourished patients or infants, characterized by DYSPNEA, tachypnea, and HYPOXEMIA. Pneumocystis pneumonia is a frequently seen opportunistic infection in AIDS. It is caused by the fungus PNEUMOCYSTIS JIROVECII. The disease is also found in other MAMMALS where it is caused by related species of Pneumocystis. This page was written by Scott Moses, MD, last revised on 8/3/2017 and last published on 4/6/2019 .